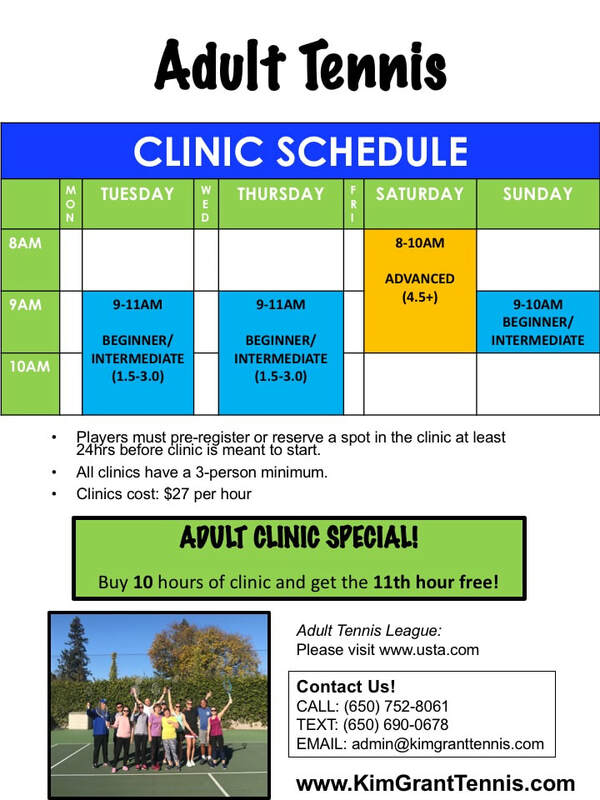 Adult 11 Pack: Purchase 10 hours of clinics and receive the 11th hour FREE!! Our philosophy is that each player should improve both on and off the court in order to be a better overall tennis player. We do this by using a comprehensive approach to coaching – this includes not only tennis training, but also general fitness, mental toughness, competitive strategies, and work ethic. We understand that each player is unique, and everyone’s goals are different. As such, our Coaching Team will work with you to customize your tennis experience and maximize your results. 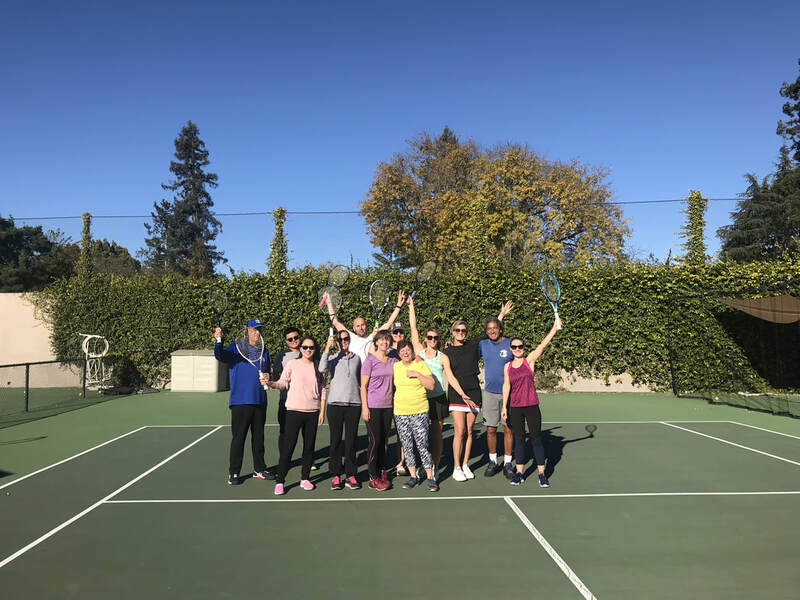 Whether you are completely new to the game of tennis or an experienced player who competes regularly, KGTA has the resources and expertise to help you reach new heights in tennis, and the experience to ensure that you do so in an fun, structured environment. KGTA is uniquely qualified to implement this customized approach because of its wide range of lesson options and auxiliary services. On the court, KGTA provides group, private, and semi-private lessons, hitting sessions, and a wide variety of fitness sessions. In addition, we offer array of services to augment your lessons, such as court and ball machine rental, racquet evaluation and customization, and our custom High-Performance Plan for those who have more ambitious goals. KGTA also periodically offers fun events and programs for adults such as special technical sessions, Weekend Warrior clinics, and mixers. This offers you a chance to meet fellow KGTA players, improve collaboratively, and have fun! For more information on our Adult Program lesson options, please give our office a call at (650) 752-8061. We look forward to seeing you on the court soon! Tennis is a lifetime sport that can increase physical fitness and health. What’s more, tennis is a highly-social sport. Players not only revel in the competition but also the camaraderie that comes with participation in the sport. You can play individually or as part of a team. It’s a sport that offers something for everyone, regardless of age, background or ability. And with the mild Northern California weather, every season is tennis season! Teams and matches are organized according to the National Tennis Rating Program (NTRP). The NTRP insures that all of your opponents will be at your skill level keeping the competition fun and exciting and the atmosphere social. Read detailed information on ratings. You can join a team any time during the local league season. A complete list of current teams can be found on the team listings page. Click on the team level you’re interested in to see all teams from that level. You can sort the list by area by clicking on “Area” on the top blue tool bar. Contact captains on your own or email Get Connected today to let our dedicated staff help you get connected. Flex Leagues offer fun and competitive matches for players of all levels—from beginner to advanced. You’ll get all the thrills, excitement and fun of USTA League, but on your own schedule. You play whenever it’s convenient for you—weekends, mornings, nights, even on your lunch hour! Whether you’re looking to play more matches, improve your skills, expand your social network, or stoke that competitive fire, Flex Leagues offer all that you want — and offer it all on your terms — and your time. Whether you play Singles or Doubles or want to compete locally or nationally, USTA Tournaments are for you. Face off against competitors of a similar age and ability or test your skills in fun family events. As a USTA Member, you will receive all of the benefits of membership while supporting the growth of tennis in your local community. USTA Northern California sanctions tournaments at private and public facilities all over the section. A variety of tournament categories are offered. NTRP tournaments are organized according to ratings, so your opponents will be at your skill level. Senior tournaments are organized according to age. Open tournaments are just that, OPEN to anyone and generally draw the most competitive players. Family and wheelchair tournaments are also offered. 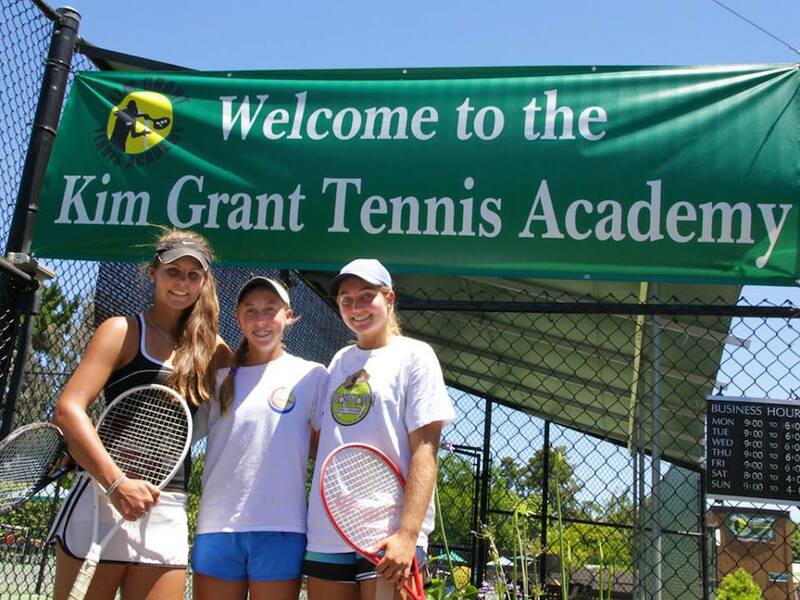 Be competitive, live healthy, make friends, have fun, play USTA tournaments!